The Nopa was a project close to my heart from start to finish. The tricky part was devising a plan to style two similar units in way that makes them stand apart. This was a new construction so seeing the progression was pretty spectacular. 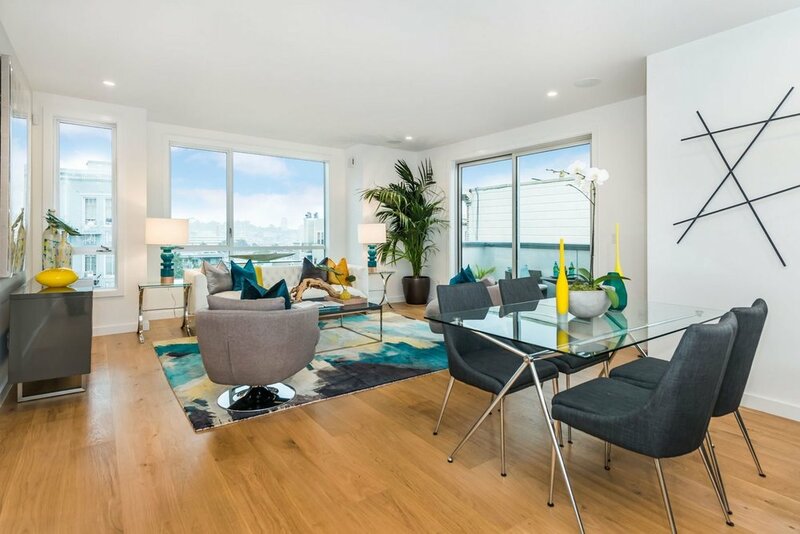 The brokers wanted lots of color with vibrant modern furnishings. This was a 7-unit property. They all sold within weeks, with the exception of one unit that was unfurnished...food for thought.